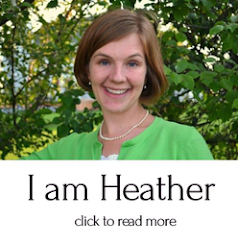 My name is Heather Farrell and welcome to my blog. I started this blog right after the birth of my first child. He was born at Christmas time and I found myself feeling a deep sense of kinship with Mary, the mother of Christ. I marveled at her faith, her courage, and that fact that she went anywhere on a donkey at nine months pregnant! 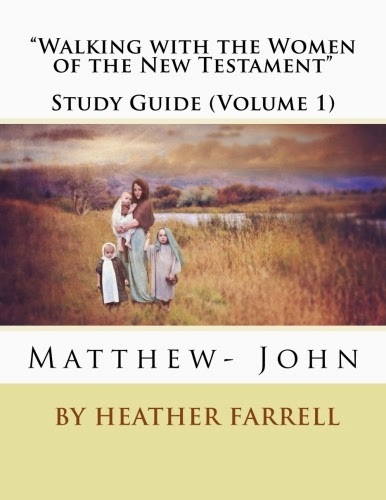 After my son was born I started to search the Internet for more information about women in the scriptures. What I found was surprising-- there was hardly anything! 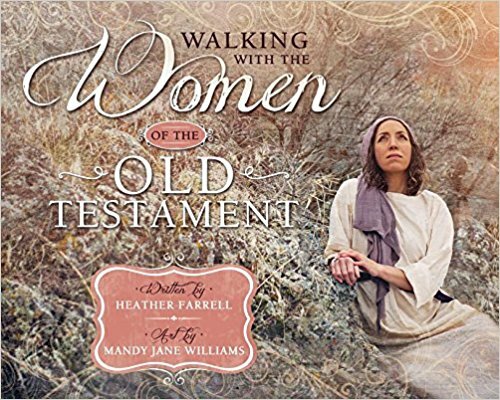 I wondered why no one had taken the time to write about the women in the scriptures. I was sad that they seemed to be forgotten. "Someone really should write about them," I thought. "No, Heather, " the spirit whispered to me, "You should write about them." Years later I have written on dozens and dozens of women and haven't even begun to scratch the surface of all the amazing women hidden within the pages of the scriptures. Someday I hope to write about all of them, which means I might be writing this blog until I am a grandma! 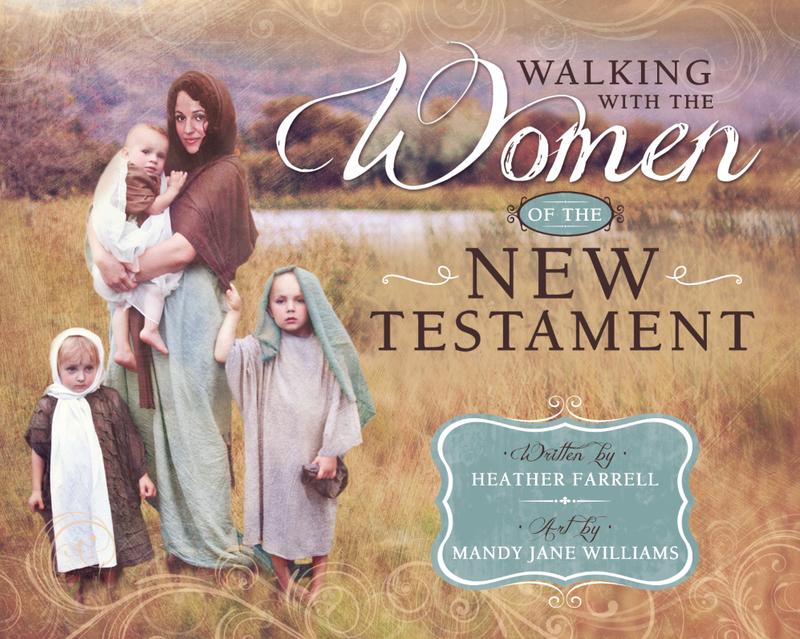 Though I did get a very good head start this year by writing about ALL the women in the New Testament. As I have studied their lives I have gained a deep appreciation for God's love for women. I can testify that God loves his daughters just as much as He loves his sons. If you have yet to learn this for yourself I'd challenge you to take my Women in the Scripture Challenge. I promise it will change the way you see yourself as a daughter in God's kingdom. I belong to The Church of Jesus Christ of Latter-day Saints and often share women's stories from The Book of Mormon, the Doctrine and Covenants and The Pearl of Great Price. If you are unfamiliar with these books I'd encourage you to read them, especially The Book of Mormon. The Book of Mormon is another testament of Jesus Christ and has deepened my appreciation and understanding of the Bible. It is my favorite book. If you would like a copy please let me know and I would love to send one to you! 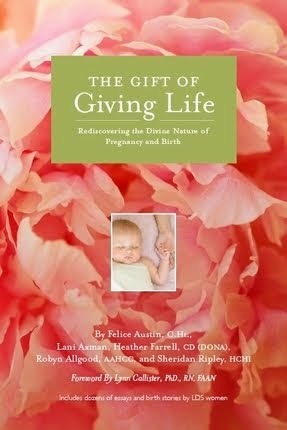 I am also a co-author of the book, "The Gift of Giving Life Re-Discovering the Divine Nature of Pregnancy and Birth" and you can find my writings on our blog there as well. Also, PLEASE forgive me for my typos and misspelled words. It is my tragic flaw. The only argument in my defense is that my posts are often written with a baby in my lap. I hope you can look past that and love me anyway. Thank you for visiting my blog! I hope to see you again soon. hi! I just discovered your blog and want you to know how excited I am to read EVERYTHING in it. this is literally an answer to my prayer of this evening when I was feeling disturbed by one of those crazy bible stories that doesn't match up with my understanding of God's character. you've helped me a lot tonight, and I will be back. Thank-you for this wonderful post! I am anxious to read all of your posts. I have daughters with whom I will share this post, in the hopes that it will help them see these things in a different light! You are a very special Lady! Love YOU! Thank you so much, Heather for your insights on the meaning of helpmeet. I was researching the term on google due to a post by a male friend who overheard a discussion between two males regarding the role of women according to the Bible and it was NOT complimentary. I wanted to give him an indepth look at what the Bible REALLY says, not what people think it says and your post here did the job beautifully!!! I will now joyfully follow your blog! 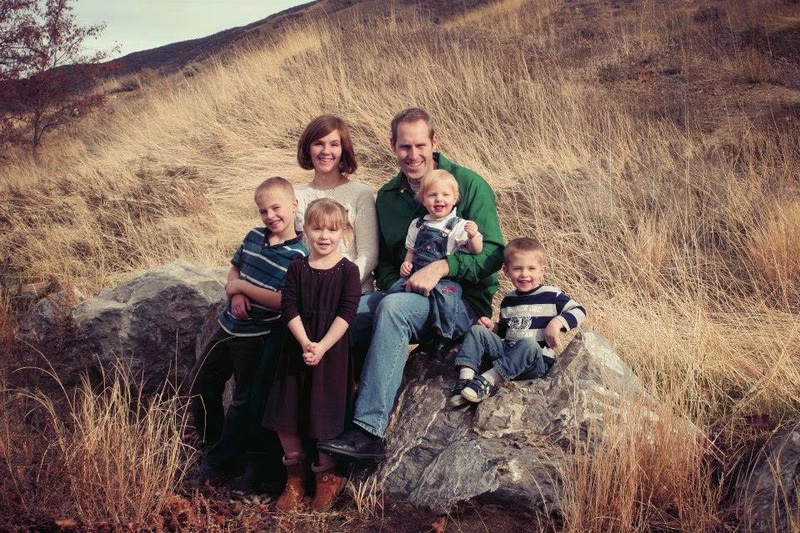 I also have an LDS blog, called The Lamb Post, but for various reason have been on hiatus. When I once again begin blogging, I will let you know, if you are interested. 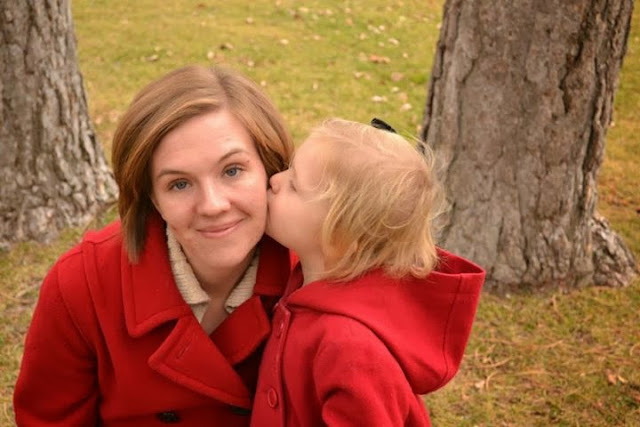 For the time being, if you have not yet discovered Charlotte Later's blog, "Memories For Later" http://latermom.blogspot.com/p/meet-family.html I encourage you to follow her. She is an LDS mom of five and her posts are hilarious. I am excited to find your blog! I was searching for ideas about women in the scriptures and found you...(No surprise there!) I can see I have many wonderful hours of reading ahead...I've been aware of your book from before it was published, and now feel a greater urge to read it, though I'm done birthing. Now, I live "birthing" vicariously, though my daughters, who are doing a wonderful job carrying on where I left off (homebirth, breastfeeding, gentle/attached parenting, etc.). Just discovered your blog after reading a comment you posted on Stillparenting, and boy am I glad I did! I've just been called as Young Women president in my ward and I'm sure I'll be a regular on your blog from now on. The handful of posts I've read so far have been very informative and inspiring. Thank you, Heather! I too just stumbled across your writings and have a lot in common with you, except the 4 children birthing thing. I managed to have aone healthy cherished girl and then 4 very early miscarriages (spiritually born but not physically) and then infertility. Yours is the only penetrating and comforting message on infertility that I have read by an LDS'r or anyone in all my searchings including as my role as a natural health educator, and LDSr of 36 years in NZ. Thankyou very much and it makes me want to just read out all your messages when teaching in Gospel Doctrine and even in Stake Conferences. Will keep in touch. Grazie moltissimo. Thank you for writing about these women. I am a believer that learning about their lives can help is in ours. I tried to list as many women from all the standard works as I could because I enjoy writing blog posts and poems about them. This is such a big help for me, and so inspiring. I also enjoy writing about other gospel patterns and topics on my blog (gospelpatterns.wordpress.com) but I am just getting started. Thank you! 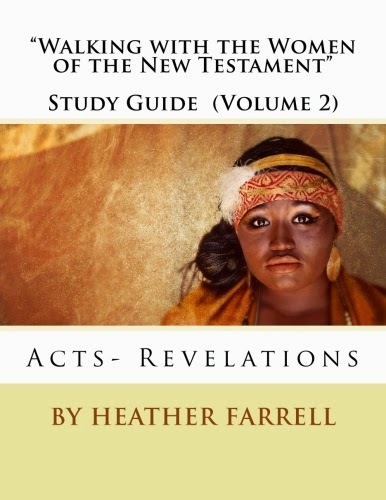 Heather, thank you for your work focusing on the women in the scriptures! I agree that these women are often virtually invisible as we peruse the writings of their husbands. My wife and I have a good friend, Sallie Poet, who is a gifted artist and has painted images of the women of the scriptures. 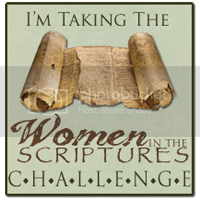 You two have a vision of raising our perspective of the role of women in the scriptures. I hope that, by reading your words and pondering her images, we might all find ourselves with a greater reverence for the women in all of our lives, without whom we would be, who knows what . . . .
By the way, one of your publications was a collaborative effort, and my wonderful daughter Lani, was a part of that work, for which we are justifiably proud.